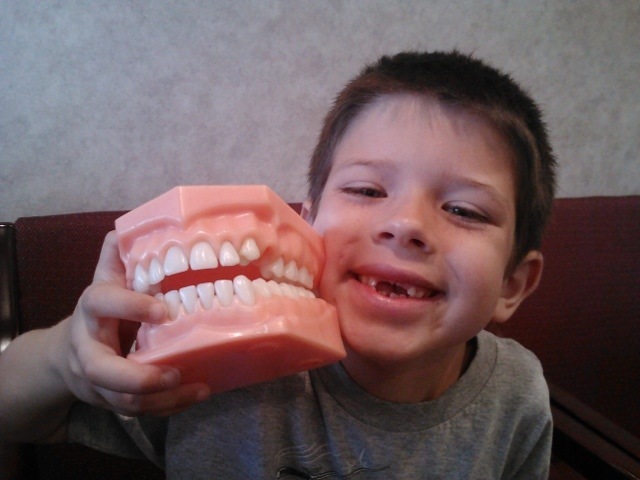 AJ had an uncommonly good time at the dentist this morning and told me all of the things that he loved about his dental check up today…. That’s too cute! It’s always nice when the kids are excited about something that could be a trial! I don’t think I have ever been excited to go. My daughter Hannah was excited on her first trip until it was time to be seen. Too cute! I always loved getting stickers when I went to the dentist as a kid. Very cool! My kids aren’t afraid of the dentist either. I think it’s because I let them come to their older siblings appointments and let them watch. telling them that when they got old enough, they’d get to ride in the chair and watch movies on the ceiling. Of course, the dentist still needs to use laughing gas when filling cavities. They also get their anxiety from me. So sweet… reminds me I have to book an appt for my girls. I think I’ll do that now. Heehee! 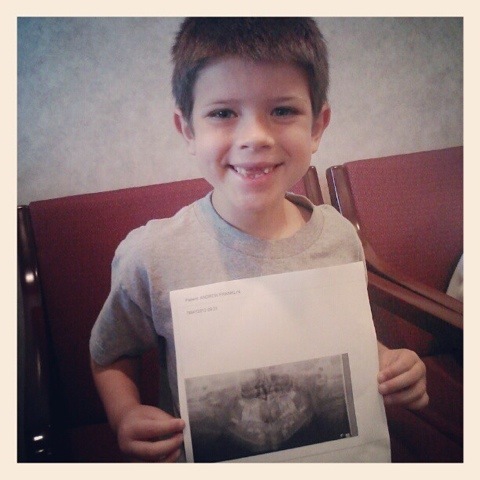 My kids love the dentist too because they get out of school early. 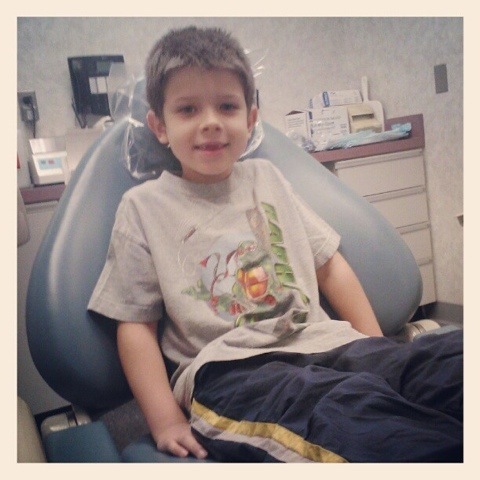 My kids love going to the dentist. Of course it’s their poppop, my dad. Well, that makes it a whole different experience. I bet he makes the dentist fun for them!